Kristen Stieffel is a freelance editor specializing in science fiction and fantasy and is associate editor of Havok, a flash fiction magazine focused on the speculative genres. She provides a full range of editorial services and has worked on various projects including business nonfiction and Bible studies, but she is a novelist at heart and has edited novels in many genres for both the general market and the Christian submarket. 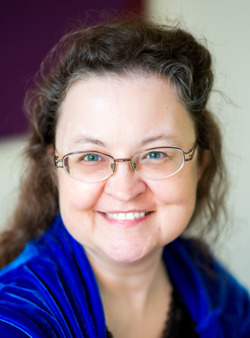 Kristen is a member of the Editorial Freelancers Association and Christian Editor Connection and is a Word Weavers International mentor. Her fantasy novel Alara’s Call is scheduled for release in September 2017 by Love2ReadLove2Write Publishing. Website: kristenstieffel.com. Professional editors often use checklists as they edit, to ensure that every expected element in a book is present and is done well. Using a professional editor’s checklist for nonfiction books, we’ll review each element in turn, explaining what acquisition editors and readers look for. This allows writers to take a targeted approach to self-editing that will help them avoid analysis paralysis and have confidence that their work is thoroughly edited.